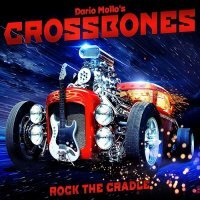 The newly formulated Crossbones includes original members, guitarist Dario Mollo and drummer Ezio Secomandi, alongside new members Dario Patti on bass/keyboards and Carl Sentance (formerly of Nazareth and Kronos), and their new album is a corker! Sounding, at times, like a caffeine-focused Ozzy Osbourne, Sentance's slightly ethereal but precise vocals are ideal for this undoubtedly Metal album. When coupled with the Randy Rhodes-esque guitars from Mollo, this album (in parts) reminded me of the early solo Osbourne albums; it's THAT good. However, nothing has been stolen, with no annoying déjà vu to spoil the sheer aural pleasure. 'Red' has an unusual and striking chorus and is a great memorable track with masterful guitar. 'Running From The Shadow' is a perfect balance of guitar-focused Metal and superbly accurate haunting vocals whilst 'Navigation' is yet another Osbourne style number with an excellent guitar solo. 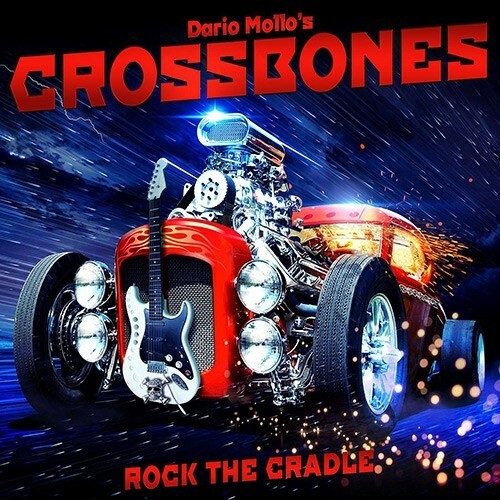 'Rock The Cradle' is a different kettle of fish, with Nu Metal influences and Rap style lyrics it provides a modern touch, something more akin to Korn, and is not typical of the rest of the album, although there's a bit of Nu Metal influence in the choruses of 'I Got This Feeling' and 'In My Blood'. It is less marked in those though and the guitar is classic through and through. 'Gates Of Time' has a great Bluesy guitar entry and has more of a grandiose Dio epic feel to it whereas 'Fright' has a seventies Glenn Hughes influence and is none the worse for it. 'Take Me High' and 'Speed' are fast-paced and in a more traditional Metal vein with no compromise guitar. Mollo is getting better and better and it's a shame my issue and year play-lists have been submitted already* as this would have featured highly in both. However, with this review I am able to let you all know to buy this excellent album... you will NOT be disappointed.